Athanasius was a fiery and controversial bishop from Egypt, driven from his See no less than five times. Yet, his work served as a keystone to the settlement of the central disputes of the fourth century, from the Trinitarian and Christological debates at Nicaea to the formulation of the divinity of the Holy Spirit. In this volume, Thomas G. Weinandy, OFM, Cap., and Daniel A. Keating introduce readers to this key thinker and carefully illuminate Athanasius’s crucial text Against the Arians, unfolding the Trinitarian and incarnational framework of Athanasius’s paramount concern: soteriology. The authors provide, in the second part, a robust map of the reception and influence of Athanasius’s thought-from its immediate impact on the late fourth and fifth centuries (in the Cappadocians and Cyril) to its significance for the Eastern and Western Christian traditions and its reception in contemporary thought. 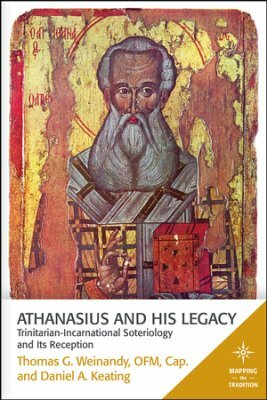 Herein, Athanasius is presented for today’s readers as one of the chief architects of Christian doctrine and one of the most significant thinkers for the reclamation of the Trinitarian and Christological theological tradition. At each of these annual meetings, members presented background papers that formed the basis of that meeting’s discussions and became the starting point for constructing a common statement. These common statements and background papers comprise this book. Quite unexpectedly, the members of the dialogue discovered many points of convergence on the subject of justification. 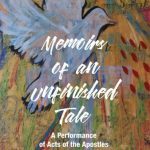 The members of the dialogue hope this book will provide a fruitful starting point for future conversations between Catholics and Evangelicals. 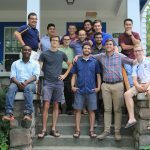 Dan currently heads the household in Lansing and serves on the teaching team for the Sword of the Spirit communities. He is also a professor of theology at Sacred Heart Seminary in Detroit, Michigan where he teaches on Scripture, the Church Fathers, evangelization, and ecumenism.